Word-of mouth is one of the primary ways that families hear about Calvin Christian School. Our Family Referral / Incentive Program has been put in place to encourage this. This program awards a $500 tuition credit to any current Calvin Christian School (CCS) family whose referral of a new family leads to the enrolment of their child(ren) in CCS. 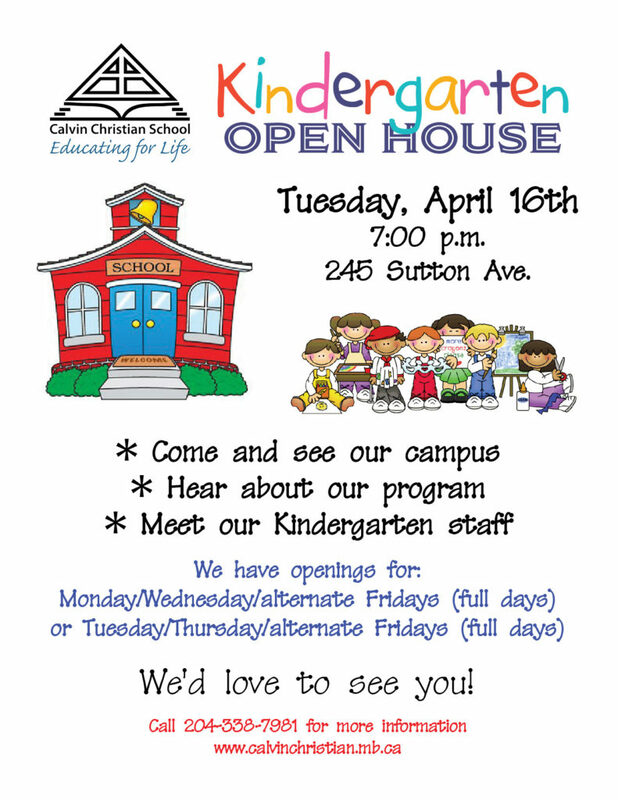 The program is open to all CCS families (including grandparents) and CCS employees. Referred families must be new to CCS. There is no limit to the number of families that can be referred, but the tuition credit cannot exceed the referring family’s tuition fees. Once 100% of fees have been reached, the remaining incentive can be directed towards another family’s tuition/school fees, the Supplementary Fund, Capital Campaign or other programs within the schools. The tuition credit is per family referred, not per student. The referred family must follow the regular enrollment process – submission of an application, interview and approval by the Admissions Committee, and classroom placement for the student. The final decision for student acceptance rests with CCS’s administration/board. The referred family’s enrollment must continue in good standing beyond September 30th. The referring family’s tuition will be credited at the end of the school term. If the referring family is not currently paying tuition to CCS, or if they choose to do so, the incentive award can be directed towards another family’s tuition/school fees, the Supplementary Fund, Capital Campaign or other programs within the schools. The referring family must submit a ‘Family Referral / Incentive Form’ to the attention of John Siepman, Business Administrator, prior to the referred family’s application form being submitted. Click here for the Family Referral / Incentive Form or contact either campus office for a copy. Referrals may not be made retroactively. A tax receipt will not be issued for the incentive amount. This program is in effect January 1 through September 1. Applications received on or before September 1 will be allowed to continue through the process. The Family Referral / Incentive Program may be discontinued at any time at the discretion of CCS. CCS reserves the right to change any and all information.